Losing weight by eating healthy and exercising will only take you so far if you struggle with cellulite. There are few different routes you can take when you want to diminish the look of the lumps and bumps that show up most often on ladies' lower halves, from laser tubes inserted under the skin for thousands of dollars - which should yield long-term results once all treatments have been completed - to a DIY coffee scrub that needs to be used daily. Cellulaze takes the number one spot on Women's Health's list of the most effective cellulite treatments and the first FDA-approved "cure" for cellulite. The American Academy of Dermatology agrees it's one of the best options. A laser tube goes under the skin, gets heated up, and melts the fat. This option is, however, pricey (on average, it's just over $5,000) and time-consuming. If you have the time and the budget, however, it may be worth a try. 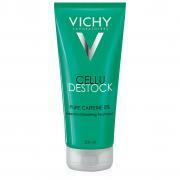 By contrast, there's Vichy CelluDestock, which is significantly less expensive and not invasive at all. Real Simple lists this as one of the best options. Caffeine creams in general work well for quick and easy cellulite solutions, but this is one of the best and it's available in drugstores. 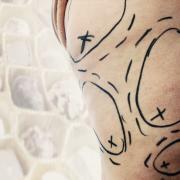 The only downside is the fact that it's not a long-term fix and will need to be applied daily to keep the lumps at bay. 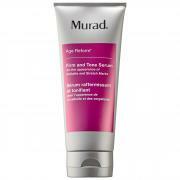 Murad Firm and Tone Serum is another winner recommended by Real Simple. Use this one as you would the Vichy version, rubbing skin vigorously as you apply. Instead of caffeine, this one has retinyl palmitate, an ester of retinol and palmitic acid. 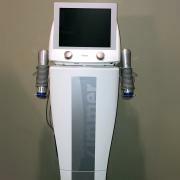 Women's Health listed ZWave as its second most highly recommended procedure to get rid of cellulite. 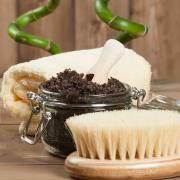 This one, best for mild to moderate cellulite, is also approved by the FDA and American Academy of Dermatology. Again, this isn't an inexpensive or quick and easy option, though it's less expensive than Cellulaze. You may need 10 or more treatments, starting out at three per week, and each visit could be anywhere from $300.00 to $450.00, according to Women's Health. Treatment involves the use of radial shockwaves to boost skin's firmness and elasticity while stimulating collagen production. If you're interested in this option, contact a medical spa near you to see if they offer it. Cellfina is on the AAD list of top treatments, and it has won several awards, including the Allure's Best of Beauty in 2015 and Good Housekeeping's Top-Tested Beauty in 2016. It's minimally invasive, and the single treatment necessary takes 45 to 90 minutes. First, a numbing agent is applied to the skin. Then the handheld machine goes to work to release the tightness of the connective tissues in the skin using a tiny needle and suction. Once those tissues have relaxed, skin appears smoother. You'll see results in about three days and results can last for years. Harper's Bazaar puts Clarins Body Fit Anti-Cellulite Contouring Expert front and center in its list of the best cellulite treatments. Reviewers on the Clarins site, Macy's, and Sephora tend to agree. This is another topical option, so it's not invasive at all but will likely need to be used every day to see results. According to the Sephora site, 80 percent of the women used in a four-week study saw results. The key ingredients here are eight plant extracts, including organic quince leaf extract. Because this is a cream-gel texture, it absorbs quickly so you don't have to wait too long to get dressed. This Ahava option is another pick from Harper's Bazaar and again, results are temporary since it's a topical gel. Eighty-seven percent of the reviewers at Macys.com recommend it, though, despite the fleeting nature of the results you get from the combination of Dead Sea minerals (including the highly concentrated Osmoter™). Use the rollerball applicator to apply the lotion once per day on wet or dry skin, then massage the area with the rollerball for one or two minutes. Its lightweight texture makes it easy to wear any season. This is one of the least expensive and most convenient (at least for coffee-lovers) options, and its results will only last a day, at most. It works similarly to the creams that contain caffeine, only you wash it off in the shower. Elle points out how caffeine is cellulite's worst enemy and recommends mixing a cup of coffee grounds with melted coconut oil and sea salt or sugar. Optional: Dry brush (another cellulite-fighter, and the brush costs less than $20.00) before you get into the shower, working from your feet up toward your heart, then use the coffee scrub in the shower for plumper, less-dimpled, and moisturized skin. You probably have the ingredients in your kitchen right now. Hint: Lighter roasts have a higher caffeine content.